With spring cleaning upon us, it’s out with the old and in with the new. What better time than now to update your wardrobe with the season’s hottest trends? This month, I’ve teamed up with Steel Mill & Co. to show off a few styles for embracing a season of renewal and change. Steel Mill & Co. is the perfect hodgepodge of old and new. 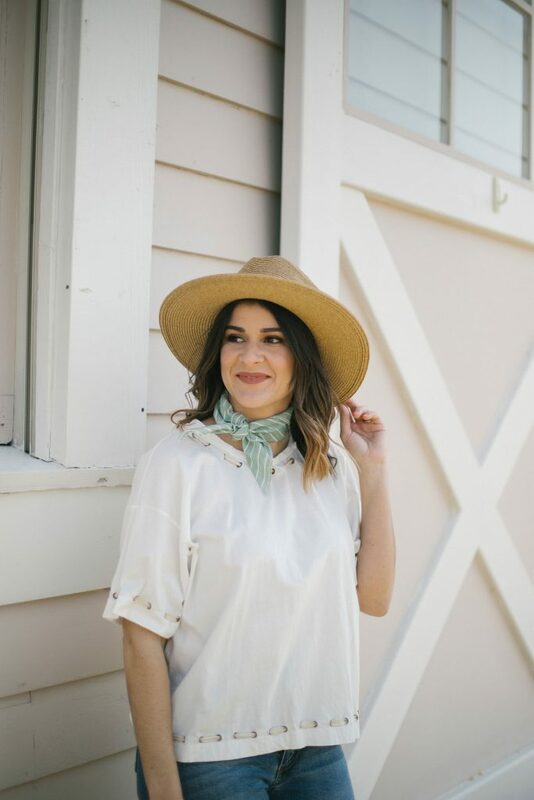 With both a storefront location and online sales option, Steel Mill & Co. provides locally made hand-crafted gifts, custom home decor and trendy clothing appropriate for all ages—offering everyday pieces from high-quality brands that not only incorporate style, but family and faith as well. 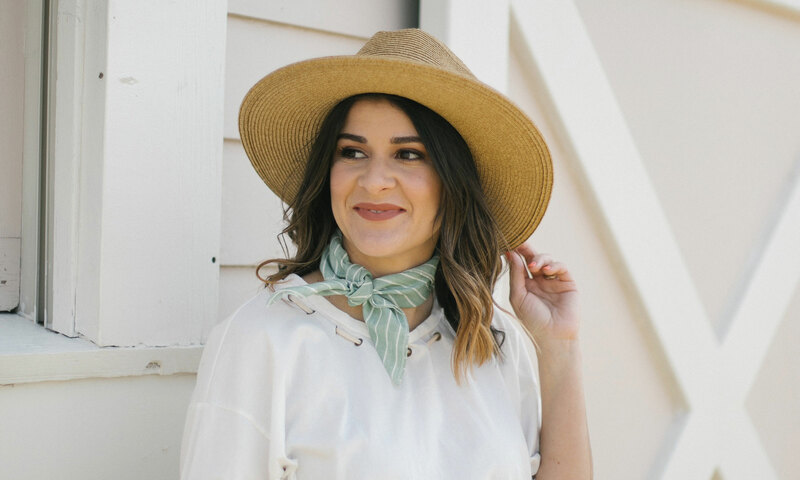 Bandanas, or as some call, neckerchiefs, have recently replaced the same ole necklaces and scarfs. These brightly colored, light-weight squares of fabric are a unique and inexpensive way to look on-trend this spring. The key to styling a bandana is all in the fold. To achieve this look, simply take your bandana and fold it into a triangle. Next, with the long end of the bandana in front of you, roll it to a desired width until it forms a long strand. With the long strand in hand, tie it loosely around the neck, then double knot the tails in the front. Ta-da! 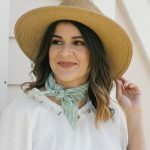 A perfect neckerchief! The wrap dress has, without question, quickly become the “it” dress of the moment. First making its appearance in the ’70s, wrap dresses have shown they can withstand the test of fashion time. This classic look features a v-neckline with a tie waist and A-line skirt. Because of these characteristics, wrap dresses have dubbed the title of being the most figure-flattering dress option. The tie waist cinches on the slimmest portion of a woman’s torso, giving an ultra-slimming effect. Accompanied with a v-neckline, these dresses enhance the bust, while slenderizing the hips, making them a great option for those who are pear shaped, or others looking to add a few curves. Wrap dresses are timeless and suitable for all age groups. Lastly, they can be worn anywhere at anytime. Paired with the right accessories and shoes, wrap dresses can be styled from a smart office look to chic wedding attire. This season, one of the most charming, practical bags to accessorize your spring and summer wardrobe with is the straw bag. Straw bags are a popular fashion perennial that add a touch of fantasy, catering to one’s imagination of frolicking through fields of flowers or long walks on the beach at sunset. 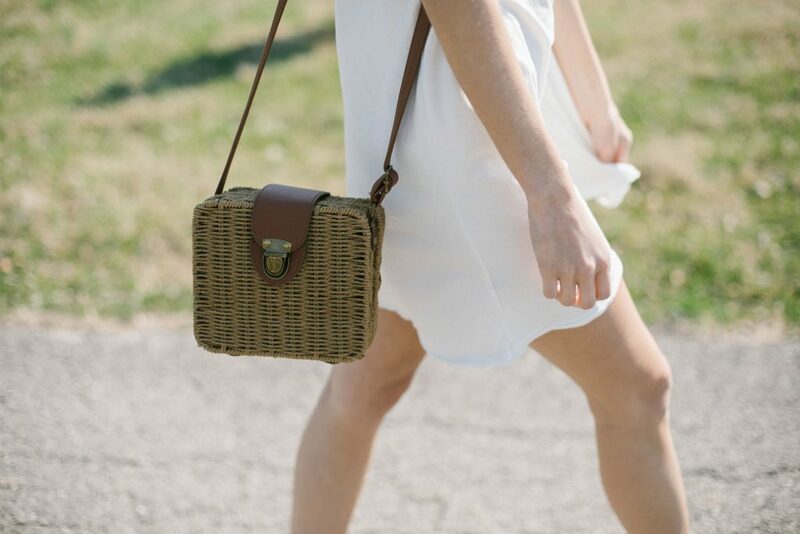 Whether you choose a basket or shoulder style bag, this romantic accessory has come into its own as this year’s ultimate warm weather purse. There’s no time like the present to break away from fashion norms and fully embrace new trends. While the tried-and-true “plain Jane” jeans are a must for any gal’s wardrobe, I’m guessing you might already own quite a few pairs. So why not break away from the status quo to try something fresh and new? Over the past year, denim has been given a proverbial facelift, complete with major upgrades in the hem department. Fringe hem jeans are having their moment in the spotlight. They’re a blend of cool and chic that are practically made for spring and summer. The inner bohemian in all of us will squeal when seeing the fringe detail dance whimsically around the ankle. Pair it with a flat or sandal, and you’re equipped and ready to take on any street, making it your own fashion runway. Let’s be honest, If spring and summer had a uniform, it would definitely be denim shorts. During the warm weather seasons, denim shorts are a great way to give your legs a breather after being sheltered under pants during the winter months. From classic denim cutoffs to bermudas, there is a pair of shorts that will seamlessly go with your style. Headed to the beach? Denim shorts make a great alternative for a cover-up when paired with a one-piece bathing suit to obtain that classic vacation vibe. 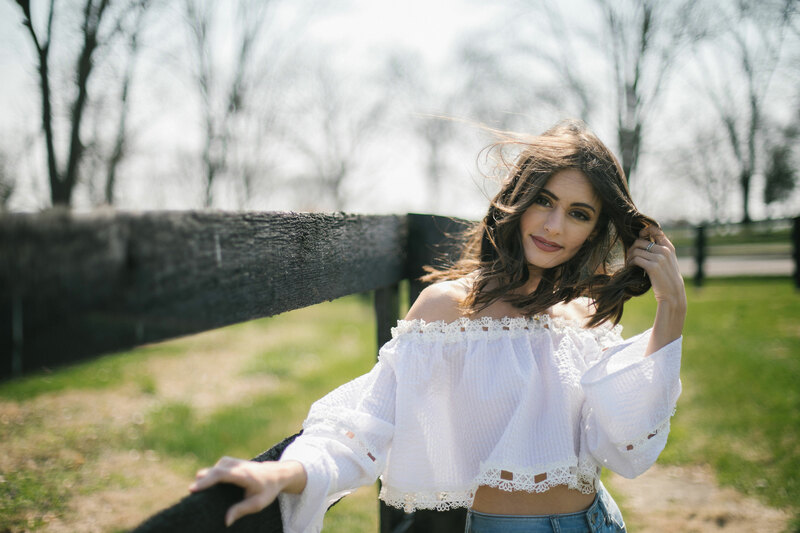 Have tickets to CMA Fest or other outdoor concerts? Couple a pair of denim shorts with this off the shoulder top for an effortlessly cool feel. Forget alternating between your favorite necklaces and ignore your fear of tangled chains. Layering necklaces has become the new arm candy. This trend is all about having your neckline tell a story. Before you go throwing all the contents of your jewelry box around your neck, a few simple tips & tricks are in order. First, start at the top with the shortest necklace, whether that be a choker or dainty pendant. Next, add necklace No. 2 by choosing one that is an inch or two longer in style. Keep things interesting by selecting chains of different elements, colors or metals. Lastly, make your longest piece on the heavy side with a larger pendant, which adds to the visual appeal of layering. More of a simple style kind of gal? 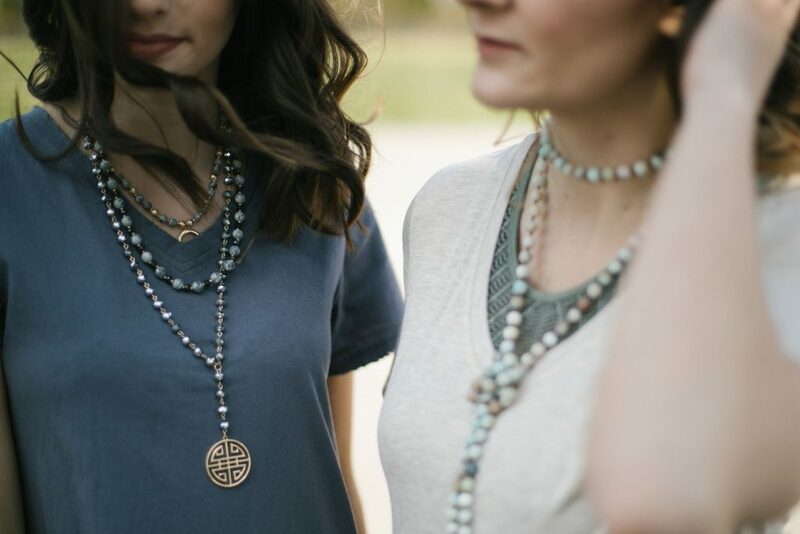 Try a single strand, long-beaded necklace wrapped around the neck, tied at the longer end to create the same sense of layering without all the hassle. Finally, now that the cold weather is behind us, it’s time to bare a little bit of skin. Sleeveless tops are a great way to embrace the warm weather. 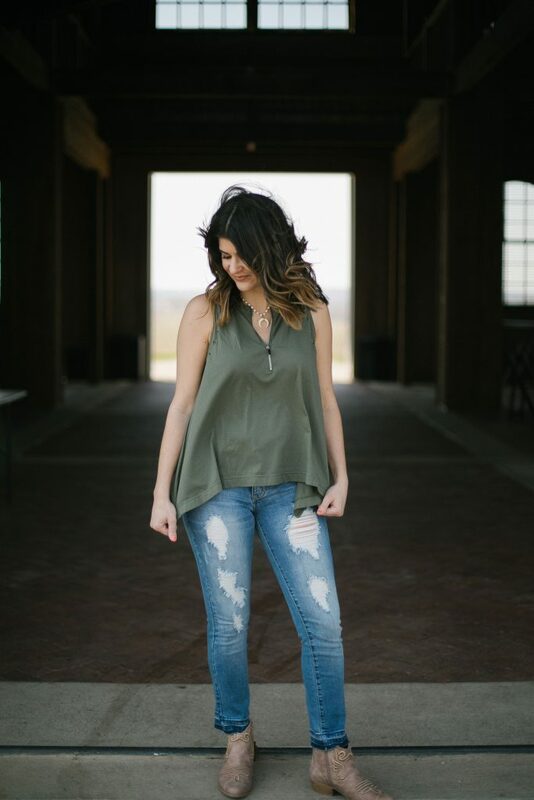 This olive green tank has a front zipper detail that allows you to flaunt just the right amount of skin without feeling like you’re overexposed. Pair it with some distressed denim, and you’ve created the perfect casually cool, spring look. Andrea is the fashion and style contributor for Bowling Green Living. She is a full-time flight nurse for Air Evac Lifeteam in Bowling Green. When she is not flying, Andrea enjoys traveling, hanging out with her husband and their three dogs. Her fashion blog is www.flightsandfashion.com.